Summer Sewing Classes are here !! Please Read Flyer and ALL information about classes below ! 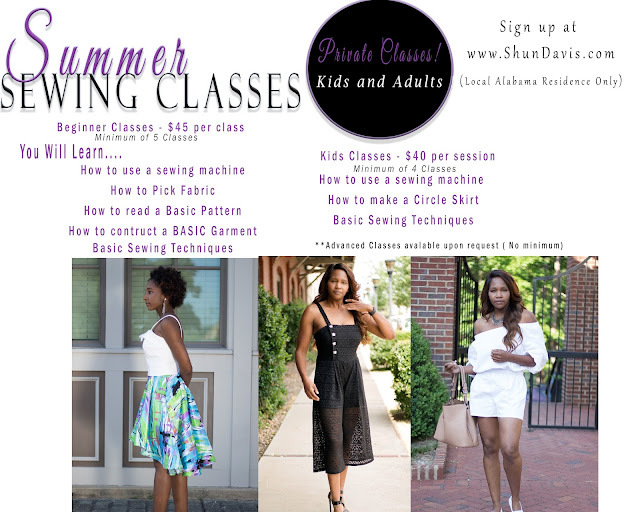 Follow link at end of this post to purchase your Class !! - All Classes are given from my home. WHAT HAPPENS AFTER I PAY ? - Once payment has been verified you will be contacted by phone to schedule your first class and discuss your goal for the class! Go Signup for your Class Today !! !